Detailing the physical features, habits, territorial reach and other identifying qualities of the Flatid Planthopper. Some are as white as a snowflake, but all Flatid Planthoppers are challenging to catch as they flit about the foliage. 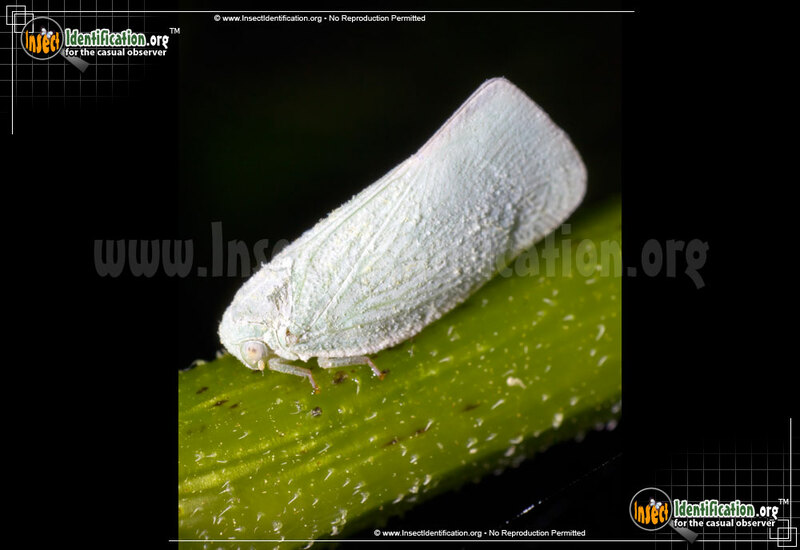 Flatid Planthoppers are able to leap from far distances (given their size) from branch to branch or plant to plant. The Flatid Planthopper is no different. Its wings are white, or they may be a shade of very light green in some individuals. Their antennae extend from the side of the head just beneath their eyes, making it easier to tell them apart from leafhoppers and treehoppers. Planthoppers drink plant juices from stems and leaves as well as fruits. They do not cause significant damage to the plants they feed from though some species may leave behind an unattractive waxy residue on the branches and leaves they frequent.